Do you want to design something unique and special for them before they grow up? Look no further! Find the perfect personalised baby clothes with Garment Printing, to suit all ages. We can deliver your printed products even on the same day, assuring the best quality. Whether you need one product or hundreds, we can help you. You can design and order online up to 25 baby clothes, if you need more, fill out our form and we will send you a quote within 15 minutes! Garment Printing’s custom printed baby clothes service means you can create truly custom clothing and provides you with the perfect gift ideas and inspiration for newborn babies and toddlers. Our range includes a variety of baby clothing, from baby grows and vests right through to bodysuits – we’ve got you covered! Our range of personalised baby grows are perfect for any of our printing techniques including direct to garment printing, embroidery, screen printing and transfer printing. And with our wide range of products featuring Gildan, B&C Collection and Fruit of the Loom, we are able to cater for all your needs. Our Continental Clothing baby clothing line also features their earth positive collection whereby all clothing is 100% ecological and fair trade as to respect the environment and human work. As you know, babies like to put everything in their mouth so what better gift idea than a chemical free, environmentally friendly t-shirt that is completely unique to you and your baby? As all of these collections are designed to be personalised, we can offer you something that perfectly suits your ideas and designs! You can find a vast variety of baby T-shirts in our catalogue that are a great fit for printing. We have any style from long and short sleeved to tank tops and hooded T-shirts. Most of our products are made of 100% cotton which is designed with superior softness and comfort. You can use our award-winning online tool to design your chosen product in just 3 simple steps: pick the T-shirt you like, choose the print position and upload your artwork. We have a variety of printing techniques perfectly suitable for children’s jumpers. You can try Puff screen printing – this will add to the feeling of cosiness, ideal for a child. Alternatively, you can choose water-based printing, which is an eco-friendly technique and inks are less chemical based compared to the standard Plastisol inks. We all want to dress our children in nothing but the very best but let’s face it; children are mess makers! That’s why it’s critical their clothing is durable. Garment Printing’s range of baby bodysuits is made to keep up with even the messiest of babies as each garment is designed to allow increased movement and flexibility. Our personalised baby clothes collection is available in a variety of colours and sizes ranging from 0-3 months through to 12-18 months. Our unique printing service means that we’re also able to print on the front, back and both sleeves of every garment. Our collection of baby dressing gowns comes in 3 different sizes and 10 colours. 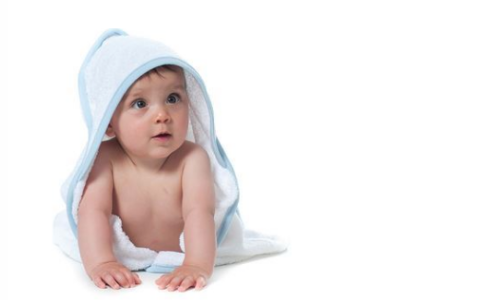 The dressing gowns are made from 100% cotton to ensure that your baby is as comfortable as possible. We can guarantee you can find the dressing gown that will suit you. They are also machine washable, so life only gets easier! For businesses, we have a number of advantages that have made Garment Printing the number 1 choice for printed and embroidered clothing. In addition to offering printed baby clothes, we also offer personalised teddy bears too! 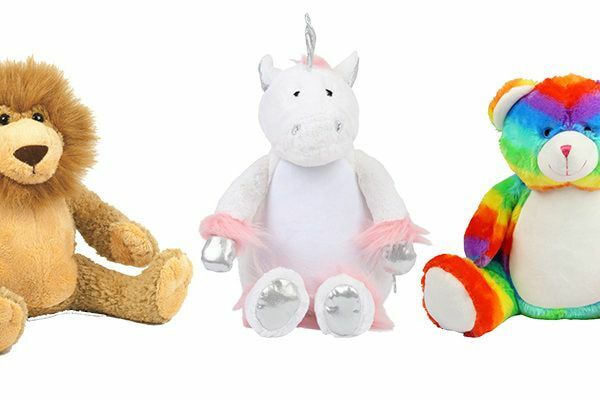 These toys are the perfect gift to suit all occasions as they’re cute, cuddly and unique to your baby. Both our teddy bear range and personalisation options are endless so contact us today with your idea and we’ll make it happen! Here at Garment Printing we offer a fast and fun design online service where you can fill their clothes with personalised messages and images whilst they’re sat right beside you! We have lots of products that you’re able to customise and the design options are endless. Whilst our catalogue is extensive, if you can’t find what you’re looking for we’re available via live chat or if you’d prefer to pick up the phone our printing experts are on hand to help with any of your questions.